A SLEW of overseas talents, combining returnees and expatriates, toured Longhua District yesterday at a subvenue event of the 17th Conference on International Exchange of Professionals (CIEP), which was held over the weekend. Yesterday’s itinerary covered a series of landmark spots in Longhua, including Baoneng Science and Technology Park and Guanlan Printmaking Base, which could do well to display the experimental steps the district has taken during its development. After concluding the interpretative tour, Mark Kline, CTO of X-therma, a California-based biomimetic nanotech enterprise, told the Shenzhen Daily that the district offers favorable government regulations to facilitate the development of biotechnology companies. “We aim to develop an efficient mechanism to preserve the organs from donors, which can improve the quality of transplantation and extend the lives of recipients. The district, with its feasible talent-oriented policies, can offer us a free range for research,” said Kline. As a parallel event of a job fair held Sunday to recruit foreign talents, which offered more than 4,000 vacancies at 104 enterprises in Longhua, the tour selected its 123 participants from the jobseekers in accordance with the industrial structure and business environment of the district, and attracted 10 talents with majors like AI, medicine, energy, materials and science, to embark on entrepreneurship in the district. 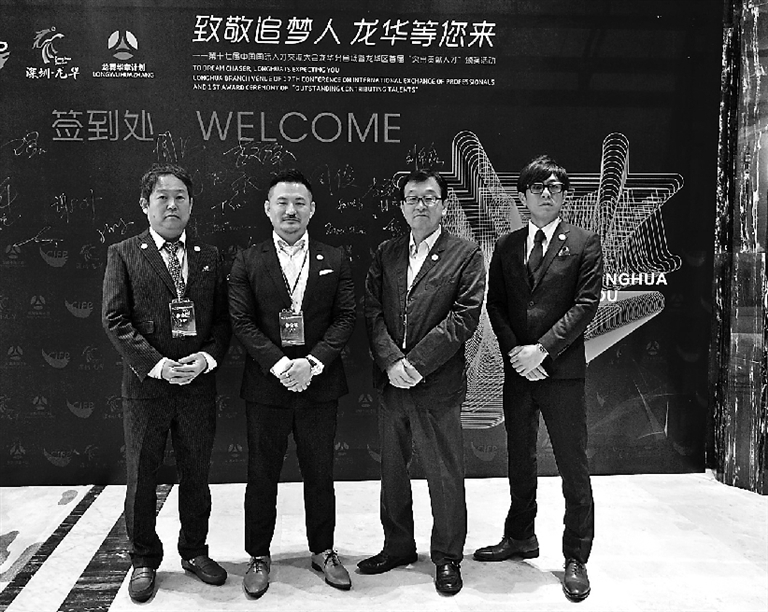 Qiu Shi, president of Quest Eternal (QE) Group, a cross-border enterprise serving as a dock between China and Japan in terms of investment, real estate, new energy and medical services, aimed to promote a new type of AA battery in China for disaster relief with his Japanese partners. “The QE Group will work together with Aqua System Japan, a Tokyo-based new energy company, to introduce this newly developed water battery to Shenzhen,” said Tadashi Ishikawa, CTO of the QE Group. An awards ceremony paying tribute to locals and expats who have contributed greatly to the development of the district, and a promotion conference, were also held. Longhua has served as a CIEP subvenue since 2012, with the overseas talents tour entering its sixth session as a signature event. Leading up to this year’s edition, around 60 overseas talents had settled their projects in the district. Since the release of a major talent-oriented policy in 2014, the district has attracted more than 1,000 high-level talents and 20 startup teams from home and abroad.